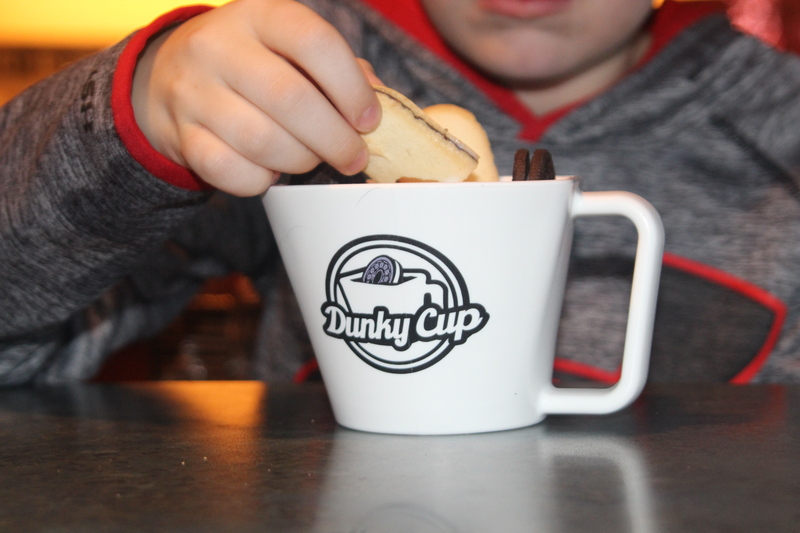 Cookies & Milk, Are You A Dunker? There are two kinds of people in this world (and I’m not talking politics) there are dunkers and non-dunkers. 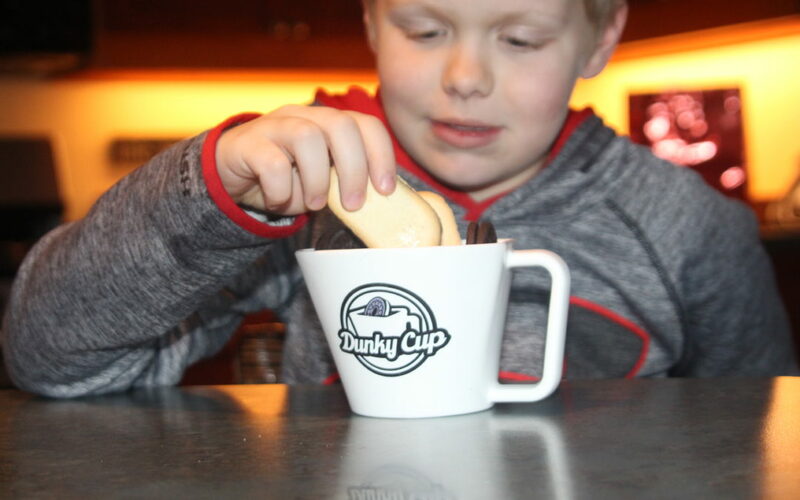 I’m a dunker, so when Jim Smith asked me to review his latest creation, The Dunky Cup, which he designed to make dunking cookies in milk more convenient I said yes. My son was also more than willing to participate in this review. Now let me say that I was skeptical about “needing” a Dunky Cup. I was quite pleased when bottles and sippy cups no longer took up cupboard space. However, I’m all for fun kitchen gadgets and things that make kids happy. The Dunky Cup is a nice mix of both. The cup is substantial. This makes it perfect for enthusiastic dunkers, as it’s sturdy design makes it stable. It is made of a thick plastic that resembles white ceramic. It is microwave and dishwasher safe. So all in all, it is user-friendly for moms and kiddos. The cup holds 8 oz. of milk and compartments for three cookies. This is nice because it means only one dish to carry and to wash. Making it ideal for an on the couch treat or for taking it outside. It could also serve as portion control. Clearly, I am all in favor of cookies and milk, but we can’t live on cookies alone. 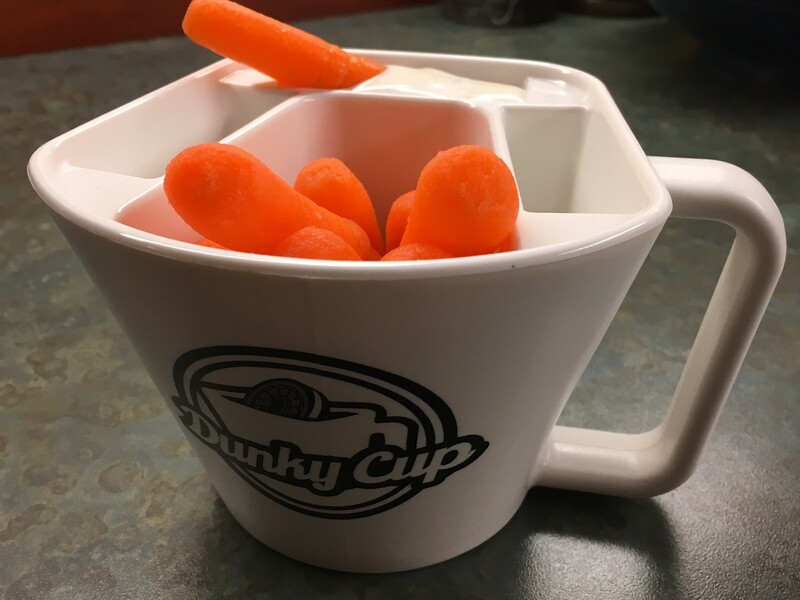 Which got me to thinking if I put ranch dressing in a cookie slot and carrots in the center the Dunky Cup would make for a slick healthy snack holder as well. Before you roll your eyes at me for suggesting such craziness, allow me to say I also see no harm in vanilla wafers surrounding some Rumchata after the littles have gone to bed. Coffee or tea with some biscotti for dunking would be a fine way to ease into the day. So as its inventor suggests, “Dunk like a boss” whatever your flavor! $45 or more gets you 2 Dunky Cups and 8 Oreo (TM) cookies. 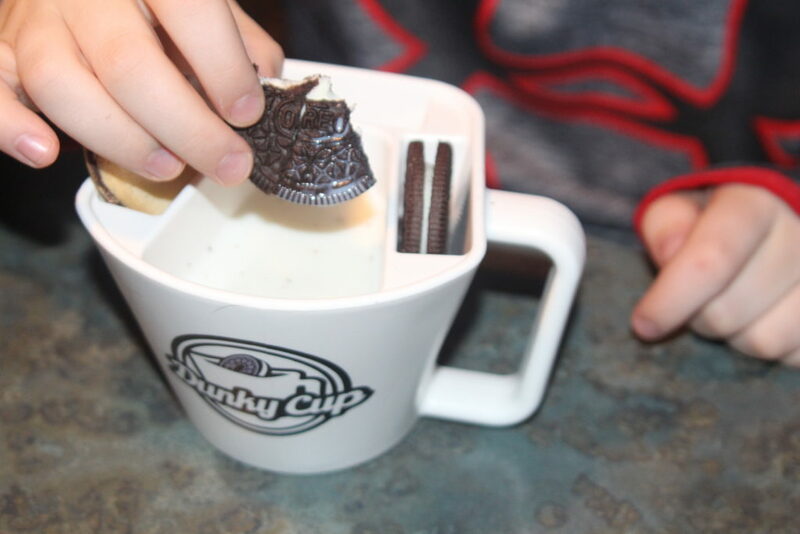 $25 gets you 1 Dunky Cup and 4 Oreo (TM) cookies. Click here to visit the Kick Starter page. 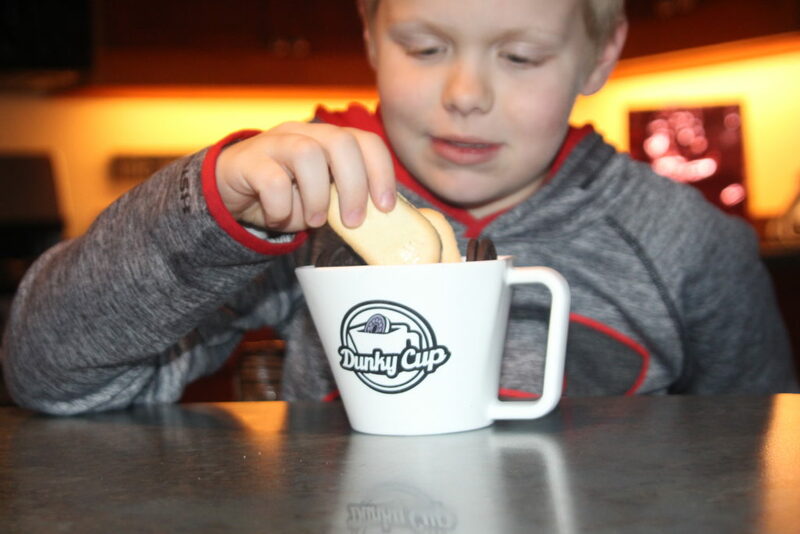 There is actual research to show that dunking enhances the flavor of cookies. You can read more about that on the Kick Starter page, but the dunkers among us don’t need science to prove what we’ve always known. So do you need a Dunky Cup? No. But you don’t technically need cookies either. This is a handy little cup. It is sure to please kids and it is convenient enough to keep mom happy too. It would make a fun gift for a child of any age, as well as an adult cookie lover. Dunk and be happy my friends! I was given a Dunky Cup in exchange for this review, but all opinions are entirely my own.